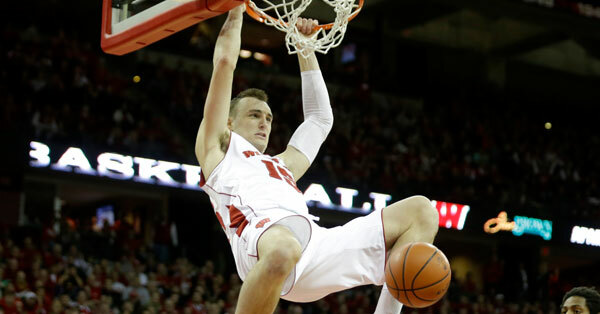 The Rockets went for a small forward, taking Wisconsin’s Sam Dekker with the 18th pick in the 2015 NBA Draft. The Houston Rockets stayed at pick 18 in the 2015 NBA Draft on Thursday, selecting Wisconsin junior small forward Sam Dekker. 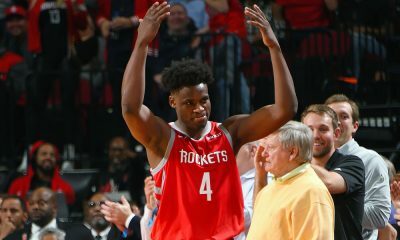 The newest Rocket was excited to be coming to Houston. Dekker is an interesting pick. 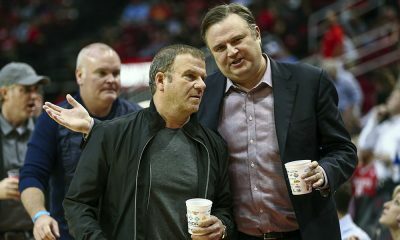 If you listened to our recent podcast, you know David Weiner liked him for the Rockets. He has drawn some Chandler Parsons comparisons. I personally preferred Bobby Portis, who ended up going 22nd overall to Chicago, but I can definitely see how Dekker can help the Rockets. Dekker helped lead Wisconsin to the National Championship game against Duke as a junior, averaging 13.9 points on 52.5% shooting to go with 5.5 rebounds. Like Parsons, he’s a big wing. 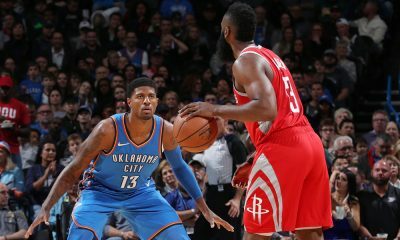 He measured in at a hair under 6’8″ without shoes and has a wingspan at 6’11.5″ (for comparison, Parsons was 6’8.75″ tall without shoes and 6’9.5″ on wingspan). He’s got a good NBA body, athleticism, can post up and is versatile — he can do a little bit of everything. Many think he can excel on an up-tempo team. 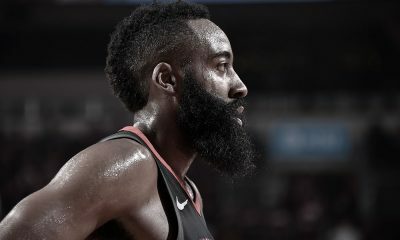 He’s looking forward to playing with James Harden and Dwight Howard. Dekker does have some work to do, however. He struggled with his shot, hitting just 33.1% from deep as a junior, and that will have to to improve on this team. 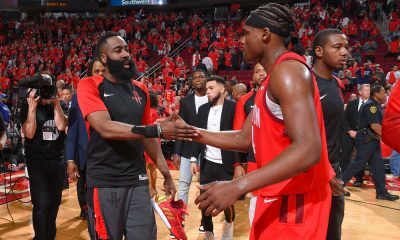 But overall it looks like a good value pick and it will be amusing to see if the Rockets added a Parsons clone on a rookie contract.